Thank you, Goodnight Macaroon, for sponsoring this post! 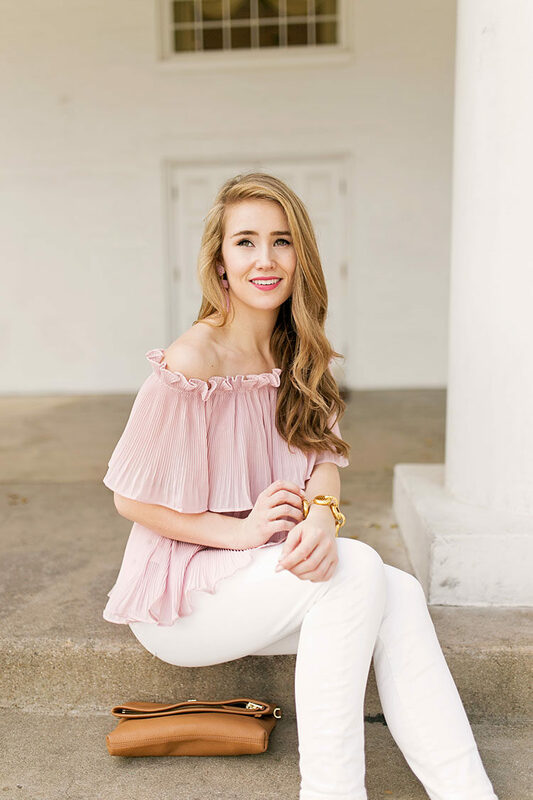 This lovely pink ruffle off the shoulder top has to be one of the most quintessentially “spring” pieces I’ve ever come across, and because of that, I found it perfectly fitting for our first post of the new season! Off the shoulder pieces are a dime a dozen these days, so I look for pieces that have that extra special something. This top has that and then some! The ruffled neckline is nothing short of elegant while the color and cut keep it fun. I packed this up for Mexico last week and know it has quite a few wears ahead. Wishing everyone a fabulous start to spring! This post is sponsored by Goodnight Macaroon. Yes to white jeans every day! It’s classic and works for about any outfit. The top is just darling, love how feminine and flowy it is! This top is so gorgeous I love the color! This top is so girly, I love it! 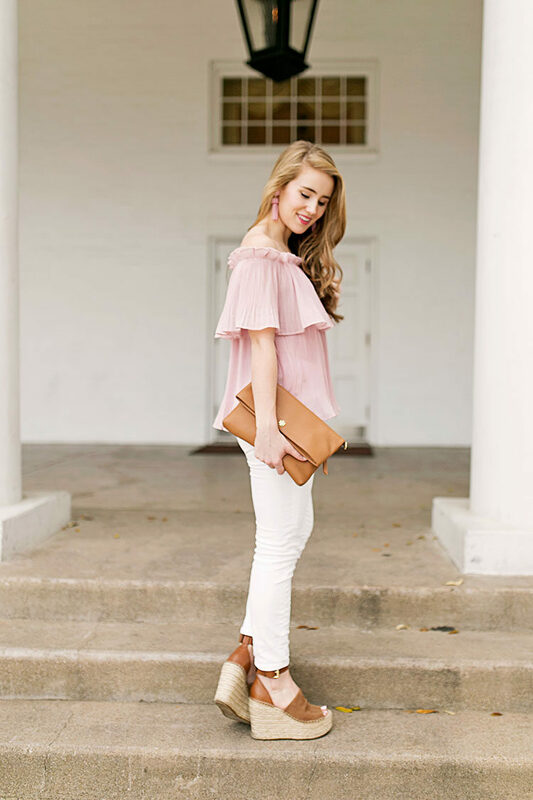 This top is so cute on you, Kate, and I love how you styled it- such a cute look for spring! 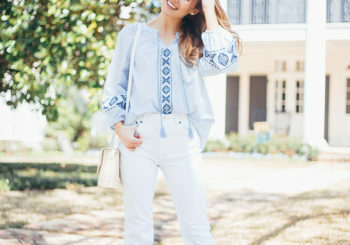 Great Spring look. Love the entire look but those blush pink earrings are super dazzling.